High-grade digital converters, ultra-low-jitter clocking, and our famous XMAX preamps add up to a superior recording and listening experience. 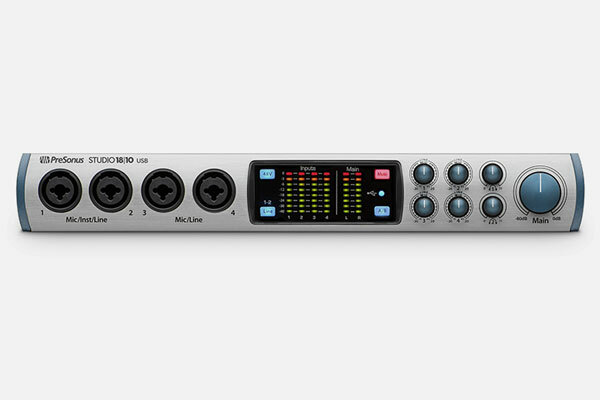 The Studio 1810 operates at up to 192 kHz for ultra-high-definition mixing and recording. High-quality converters on every input and output provide 115 dB of dynamic range to capture complex musical harmonics smoothly and naturally with no audible distortion. XMAX Class A microphone preamps deliver incredibly high headroom, deep lows, smooth highs, and a rich overall sound so you’ll hear every breath, transient, and detail in your recordings, making it ideal for both vocal production and sampling.